Welcome to Brandon Black Online — the official online presence of fantasy and science fiction author Brandon Black. 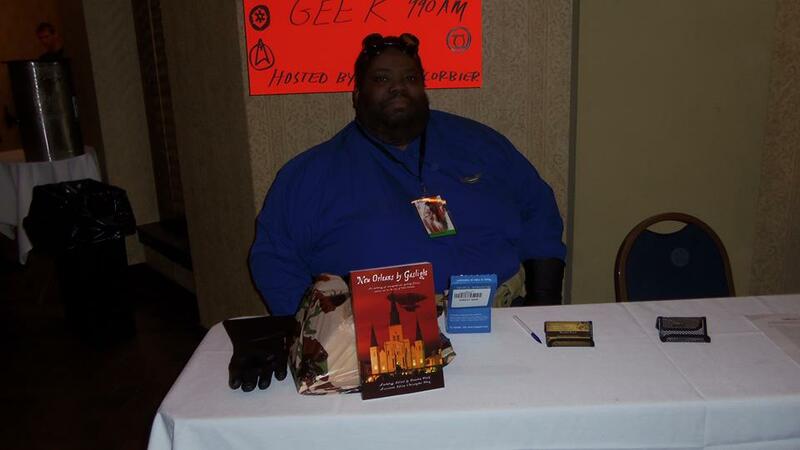 Brandon Black is a fantasy and science fiction author living in New Orleans, La. He is also the founder and moderator of the New Orleans Science Fiction and Fantasy Writers’ Circle. Brandon received a Bachelors in Military and Political Journalism from UNO and went on to receive a Master of Fine Arts in Creative Writing from LSU. His short fiction has been published in Dark Oak Press’ Dreams of Steam III, Black Tome Books’ New Orleans By Gaslight, and Seventh Star Press’ A Chimerical World: Tales of the Seelie. His poem, “The Ballad of the Dashing Skywayman,” appeared in Cowboy Press’ Unbridled. Brandon is currently writing his first steampunk novel. He lives with his charge and protector, Battle-cat Princess Kaleidoscope, in his home town of New Orleans, Louisiana.